With a nod to the fact that today, 23rd April, is not only St Georges Day, but also the date on which William Shakespeare is understood to have both been born and this year the 400th anniversary of his death, hence the stretching of a few quotations from his writings (so much more than witterings) in the title. 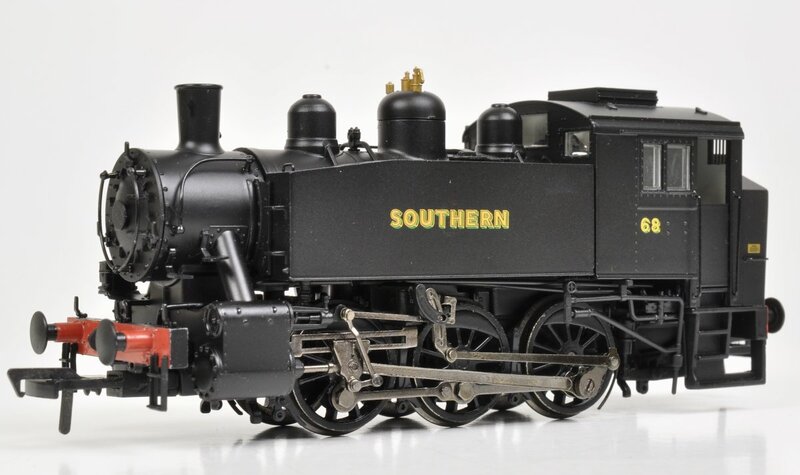 My last Workbench Witterings #4 post detailed some of the locomotives I have been working on and finishing over the last few weeks and this Workbench Witterings #5 post shows a few more. (nice and simple to do as the cab roof is designed to be easily removed) and real coal added to the bunker. 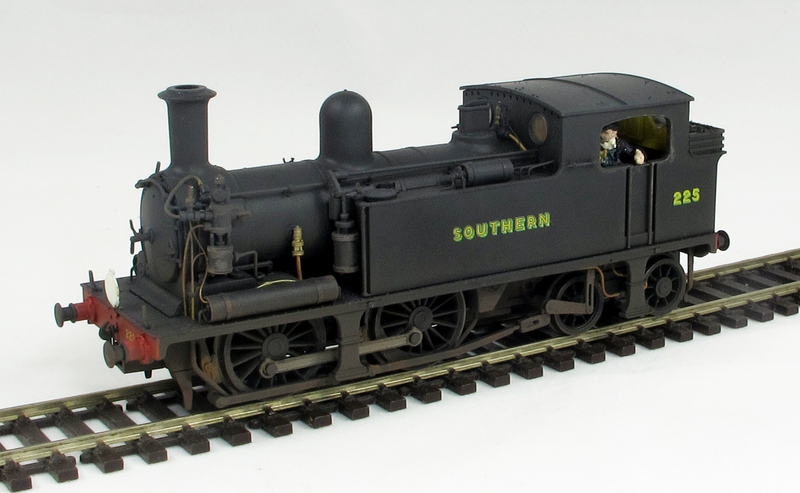 She will generally be seen on Fisherton Sarum sharing duties with an M7 class loco coupled to my Pull Push set number 734 or the Kernow Model Rail Centre ex LSWR Gate Stock Pull Push sets when they arrive. 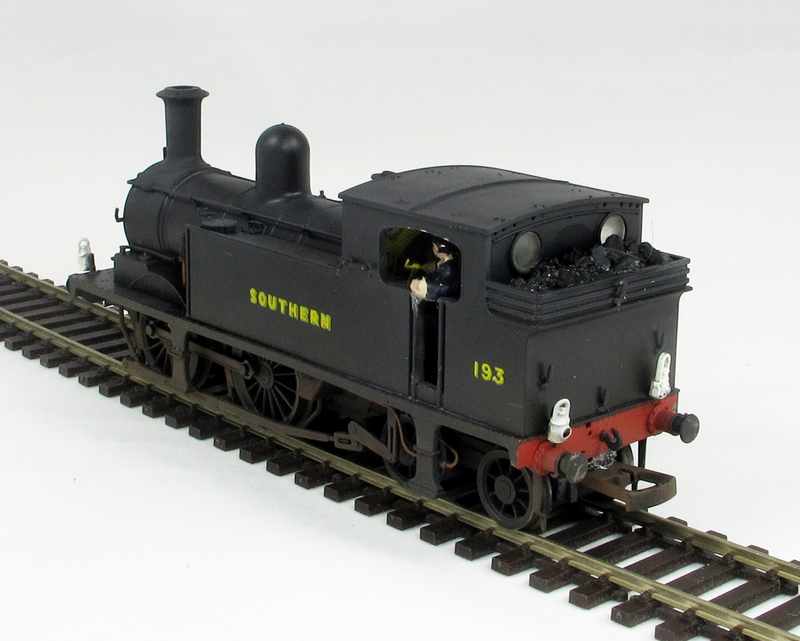 Number 193 started life in BR lined black livery as 30193, Kernow Model Rail Centre release K2106, and repainted into unlined SR livery, unlike 225 is non pull push fitted. Now backdated to number 193 as well as crew on the footplate and real coal added to the bunker she has been fitted with both red and white lamps at each end on the lamp irons above the buffers, as per a locomotive carrying our shunting duties. I have also, carefully using a small razor saw, cut out the cab doors as these were only found on the pull push fitted mainland O2s (although those on the Isle of Wight also had cab doors). To reduce the distance that the tension lock coupling extends past the buffers I also shortened the NEM coupling pocket slightly by cutting off a few millimeters from the front face and holding the tension lock coupling in with a spot of glue. If you own one these Kernow Model Rail Centre O2s it is also worth checking that the back to backs of the driving wheels are correctly set to 14.5mm, as some have reported issues with haulage which has mainly been due to the back to backs being slightly too wide and simple to rectify by pushing the wheels in slightly, not that mine needed any such adjustment. 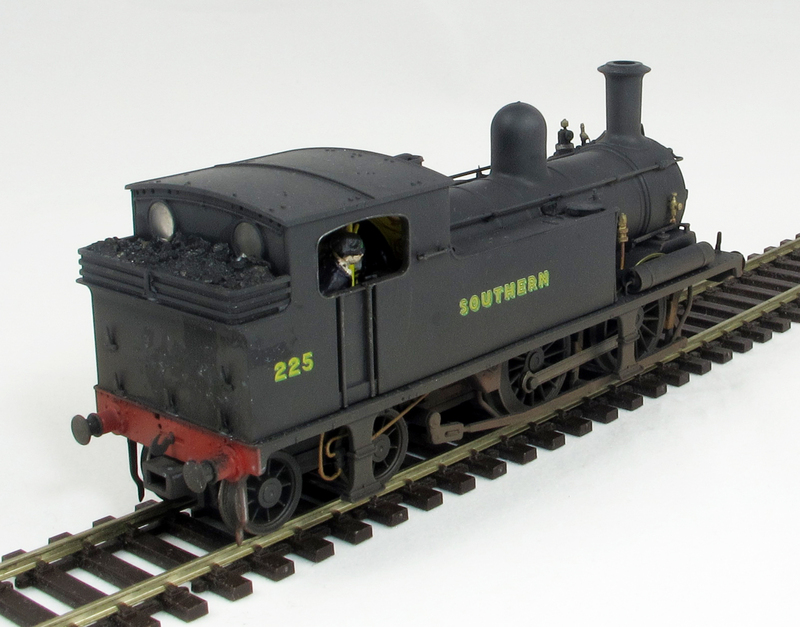 Next up is a Bachmann ex LBSC Billington E4 Class, 0-6-2T repainted and numbered as 2486. 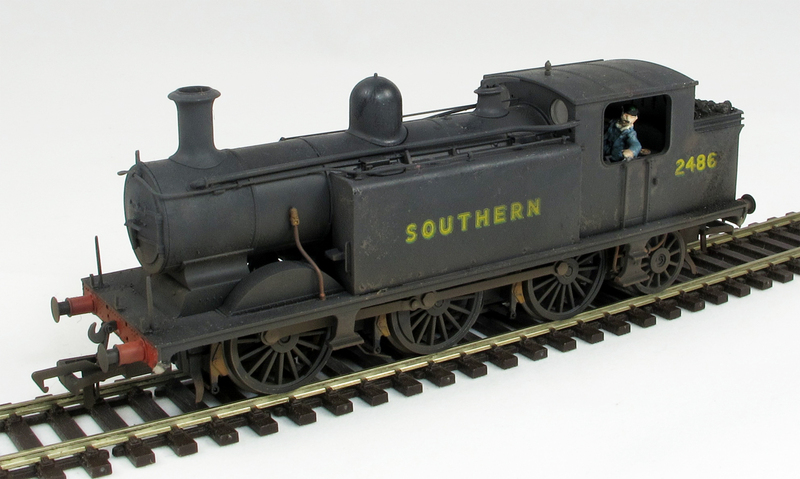 Although ex LBSC locomotives they could seen seen across a wide area of the Southern network. After the closure of the Salisbury Western Region shed in 1950 the ex SR shed was allocated numbers 32506 and 32486. This was reported as being much to the annoyance of the ex WR crews on the duty shunting Fisherton Yard as they preferred their previsous GWR pannier tanks! 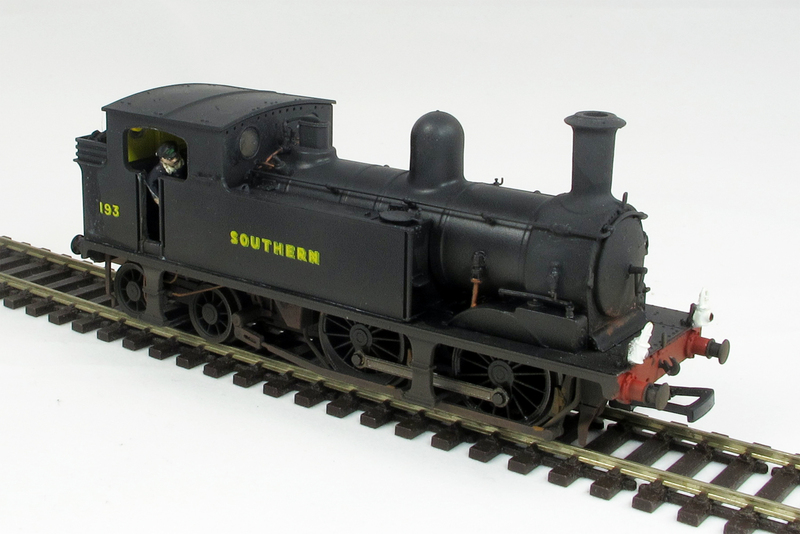 So modellers licence regarding the bringing date of allocation to Salisbury slightly earlier will apply on Fisherton Sarum. She has been finished in a condition where she could benefit from a good clean and a bit of an overhaul. Finally for now, it is not just locomotives that I have got round to finishing off with a bit of weathering, also seen here are a couple of Non Passenger Carrying Cars. 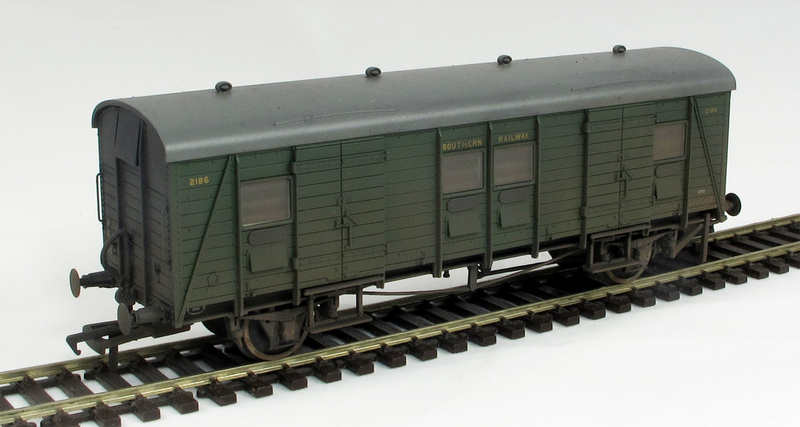 Firstly the Hornby Bogie Van B that I mentioned on my Workbench Witterings #1 post after repainted into malachite green a while ago as non stove fitted version number 231. 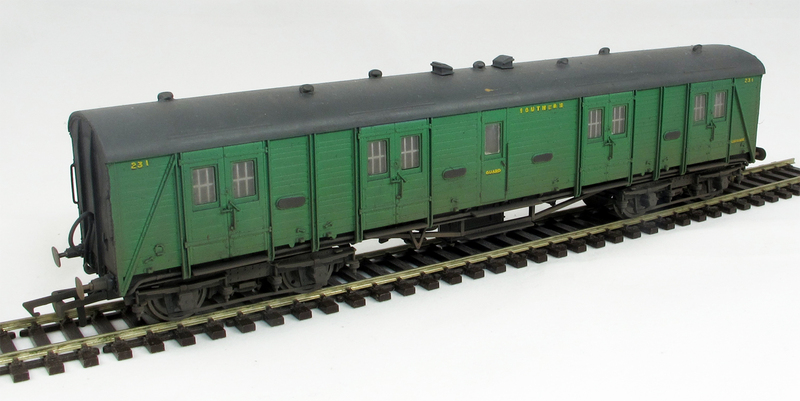 The other is a Bachmann PLV, Parcels Luggage Van (coded PMV in BR parlance) and is still in Maunsell green under the layer of grime. 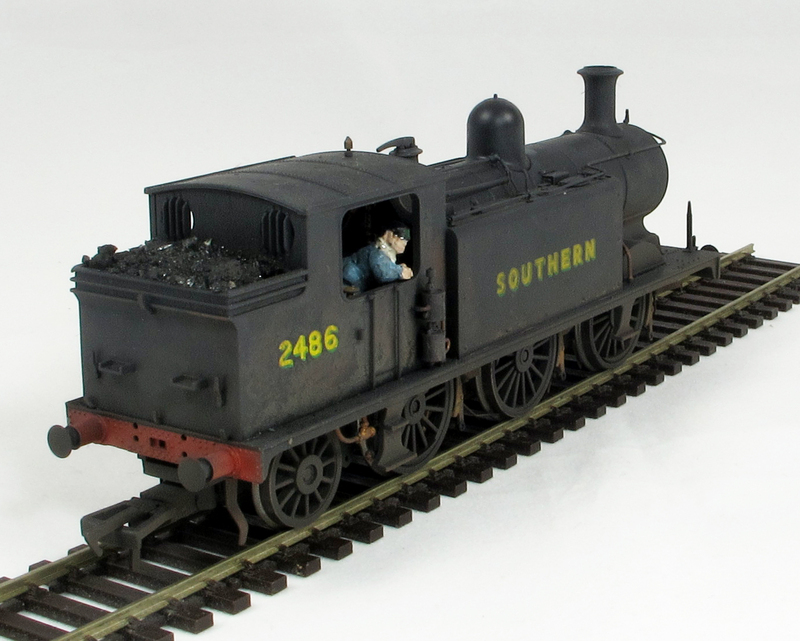 As I said before I have managed to catch up with finishing a number outstanding projects and these last two Workbench Witterings Posts don’t yet cover them all but I wont bore you with more pictures of weathered black locomotives for now so watch this space for something different next time around.